According to a research study published by the American Dental Association, over five million dental implants are placed every year. The number keeps growing as patients learn that implants come with a number of significant advantages over wearing denture devices. You may be a candidate for this beneficial restorative treatment if your goal is to replace one or more missing teeth. Let a dentist at Northside Family Dentistry in Macon, GA, check your smile to see if dental implants are the right solution. The true definition of a restoration is something that completely renews and improves upon the original. A dental restoration should give your smile new strength and beauty. Dental implants provide that renewal when the problem is a lost or severely weakened tooth. 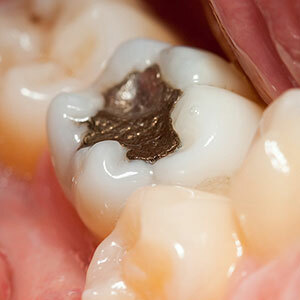 An implant, made of biocompatible titanium, doesn’t just fill in the visible gap on top. It also fills in the gap that has been created below the gum line to ensure stability and permanence. When you are in the process of getting a dental implant, make time for about two or three future dental appointments. An initial consultation will let you and your Macon dentist know if there is sufficient bone tissue to support an implant. After that has been confirmed, the next step is the surgical implantation of the tiny titanium device. After that, you’ll wait a few months to allow the implant time to become tightly entrenched in the jaw bone. During the implant healing process, also called osseointegration, the bone tissue attaches to the screw-like ridges on the sides of the implant. After that, a dental abutment and permanent crown are attached to fill in the space above your gumline. You can help speed up the healing process by taking very good care of your teeth at home and eating healthy nutrient-rich foods. Continuing that level of care and seeing your dentist regularly will increase the chance that the implant will remain a part of your smile indefinitely. The process of getting a dental implant starts with a consultation, which includes dental X-rays and a visual examination of your teeth. Call (478) 475-1976 today to schedule an appointment with Dr. Clinton Watson or Dr. Nicole Jackson at Northside Family Dentistry in Macon, GA.